Former Prime Minister Tony Blair has refused to disclose whether he was aware of torture techniques used against British prisoner Shaker Aamer in Guantanamo Bay or wider UK complicity in the United States torture regime. Pressure on Blair to come clean over Labour position on torture followed the damning revelations of Shaker Aamer, who disclosed his torment of 14 years abuse without charge in the US base. Aamer explained that his abuse by guards included beatings and sleep deprivation, as part of a system that the US Government has conceded amounted to torture. Torture – including water boarding and sexual punishments – occurred at Guantanamo in Cuba, Abu Ghraib in Iraq and a series of ‘black sites’ in what was formally termed the US ‘extraordinary rendition and detention program’. Created as part of the attack on civil liberties and international law following 9/11, the torture programme led to questions in the UK over whether the government cooperated with US authorities in torture cases. Former first minister Alex Salmond has demanded that Blair and former home secretary Jack Straw explain their awareness of the treatment of Aamer, in an interview to the BBC. As in so many things, Messrs Blair and Straw have a great deal to answer for, and they have to be asked the straight question how could they possibly not have known about the fate that had befallen a British citizen. Governments are not meant to collaborate on the illegal abduction and then the torture of one of our own citizens. The then prime minister and home secretary have to face up and tell us exactly what they knew, and when they knew it. The Blair government previously faced allegations of complicity in Libya’s torture regime. Scottish police are also investigating whether US torture flights passed through Scottish airports. 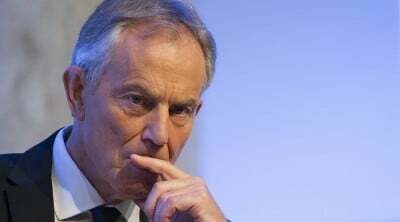 However, Blair has refused to be drawn into explaining his knowledge of the Aamer case or claims his government was involved in torture cases. Instead a spokesperson speaking on Blair’s behalf repeated the claim that Blair is personally opposed to torture. Cruel Britannia: A Secret History of Torture by Ian Cobain documents centuries of British torture regimes. CommonSpace journalism is completely free from the influence of advertisers and is only possible with your continued support. Please contribute a monthly amount towards our costs. Build the Scotland you want to live in – support our new media.